Are you as excited as I am for the new season of Ozark? Ready for binge watching on Netflix on August 31. Season one completely snuck up on me as I had heard nothing about it when I sampled the first episode one night, browsing for something to watch after draining the episode list of Killing Eve on BBC America. Laura Linney, who I’d watch read a phonebook (wait…did he say phonebook? What’s that…?) is spectacular as always, and Jason Bateman shows off his formidable acting and directing skills throughout a first season full of twists, turns, and how to put this delicately…the human body versus sudden forces that turn it to goo. Yum! 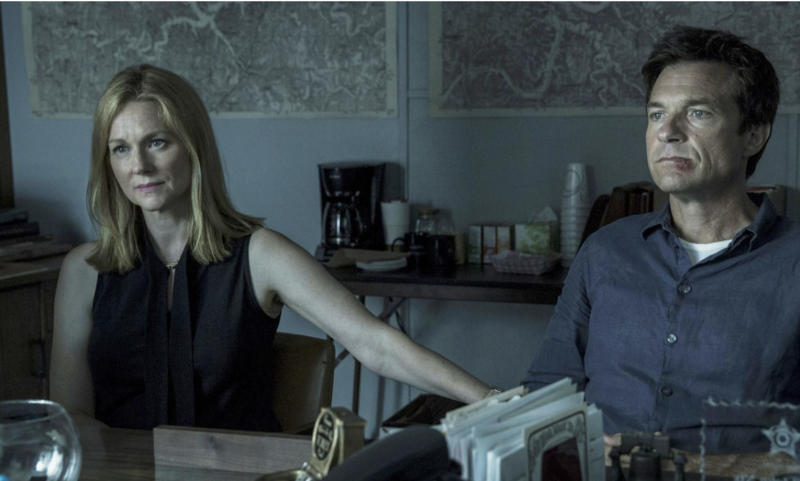 Anyway, backstage currently has an interview with Linney in which she discusses Ozark and talks about several actor-y topics that I’m sure you will find interesting. Also, the LA Times has a feature on her, discussing how busy she is and how she constantly has to wrestle with the insecurities we all face when we participate in the inscrutable world of the performing arts. Here's the trailer for Ozark, Season Two. YeeHah!